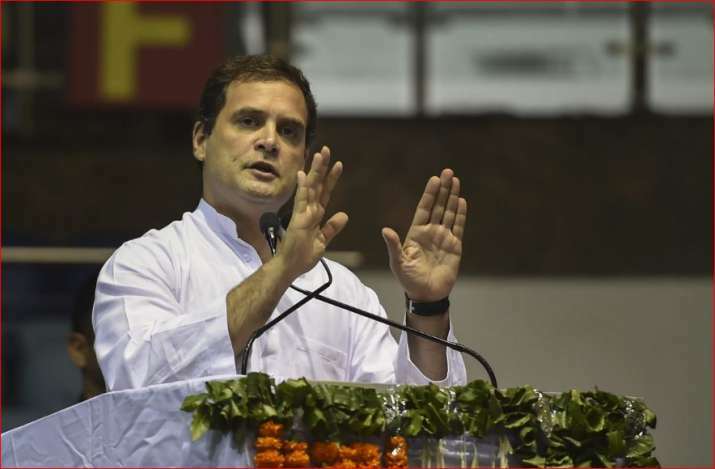 Reiterating his demand for declaring Kerala floods as a national disaster, Rahul Gandhi said that PM Modi should not vacillate in doing more for the people of Kerala who are suffering because of the rain fury. Reacting to Prime Minister Narendra Modi's announcement of Rs 500 Cr relief for flood-ravaged Kerala, Congress president Rahul Gandhi on Saturday said that it was a good step but not enough for the state. "Dear PM, iIncreasing funds allocated for Kerala relief to Rs.500 Cr is a good step but nowhere near enough. It is critical you declare the floods as a National Disaster. Please do not vacillate as the people of Kerala are suffering," Rahul Gandhi tweeted. "Dear PM, Please declare #Kerala floods a National Disaster without any delay. The lives, livelihood and future of millions of our people is at stake," Rahul said in a tweet. Prime Minister Narendra Modi, who conducted an aerial survey of flood-affected areas in Kerala on Saturday, announced Rs 500 crore as financial assistance for the state, in addition to the previous Rs 100 crore given by the centre. "I salute the people of Kerala for their fighting spirit... the nation stands firmly with Kerala in this hour," Modi said in a series of tweets after chairing a high-level meeting to review the flood situation," Modi tweeted after chairing a high-level meeting in the state to review the flood situation. "My thoughts are with the families of those who have lost their lives due to incessant flooding across Kerala. I hope the injured recover at the earliest. We all pray for the safety and well-being of the people of Kerala," he added. The prime minister also announced ex-gratia of Rs 2 lakh per person to the next kin of the deceased and Rs. 50,000 to those seriously injured from PM's National Relief Funds (PMNRF). Over 300 people have lost their lives in flood-battered Kerala so far. The NDRF, in biggest-ever rescue and relief operation in the country till date, has deployed 58 teams in the state. Over 10,000 people have been evacuated from flood-affected areas by the NDRF teams. Over 3 lakh people have been put into relief camps across the state.